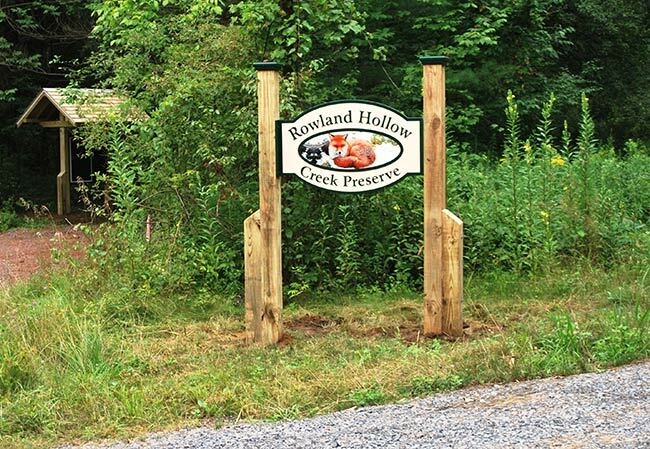 The Rowland Hollow Creek Preserve is a ~45 acre preserve with 3/4 mile of trails that meander through a wooded area that includes an overlook of Rowland Hollow Creek. This preserve is part of an innovative conservation subdivision project in conjunction with the new Meadow Vista Estates development. A wooded trail system invites people to safely explore the preserve while the woodlands protect wildlife habitat and the water quality of Rowland Hollow Creek. Project partners include Charlew Builders and the City of Saratoga Springs. 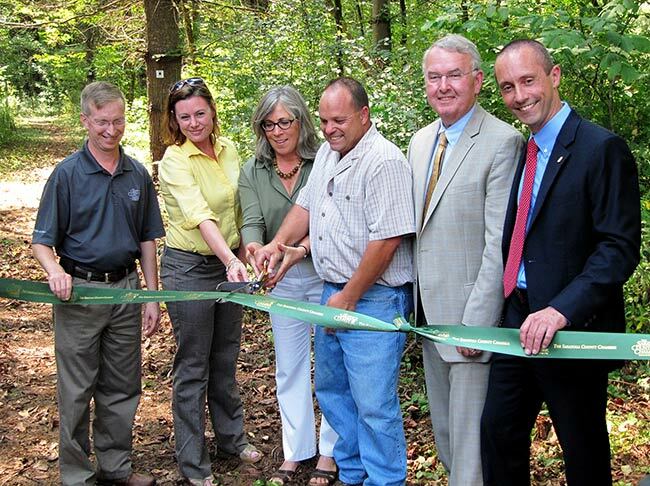 The Rotary Club of Saratoga Springs provided funding for trail improvements, entryway, and signage built by PLAN staff, volunteers and contractors. From Broadway in Saratoga Springs, travel west (left if coming from south, right if coming from north) onto West Avenue, turn onto Grand Avenue. The parking area for the Rowland Hollow Creek Preserve will be on the left of Grand Avenue, just past Round Table and Slade Roads. This preserve is well-used by dog walkers. Feel encouraged to bring your canine friend(s) along for a visit, but please be sure to keep all dogs leashed out of respect for wildlife and other trail users.